(PRLEAP.COM) Asset Management Group, Inc. of Stamford, CT., is pleased to announce that Violet Krom, RP® has successfully completed all the course work required and passed the Connecticut State exam to obtain an insurance license from the Department of Insurance. Violet is now authorized to provide guidance to the firm's clients in the areas of life, disability and health insurance. 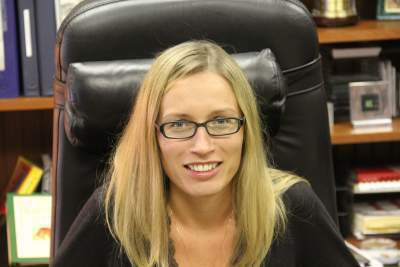 She will specialize in disability insurance for individuals and small businesses. Violet immigrated to the United States in 2002 from Poland and lives in Stamford. She is a graduate of Borough of Manhattan Community College with an Associate's Degree in Business Administration. With her background in customer service, gleaned from several years experience with a high profile law firm, she joined the Asset Management Group team in 2008. As an administrative assistant she was responsible for daily administration and management assignments. After receiving her Registered Paraplanners designation from the College for Financial Planning in 2010, she was promoted to Client Services Administrator and started to assist in the design and implementation of the firm's client's financial plans. In 2012 Violet was promoted to Executive Director, where she assumed additional management functions and added estate administration responsibilities to her portfolio. In addition to her management and financial planning duties, Violet continues to works toward her Certified Financial Planner designation.